The Weapon has a new owner, Olivier Vidal, and many people will be sick to hear that during his test sail of the Weapon he was managing a few foiling gybes! I got to sail Carbon Footprint for a bit and with a few (magic) wand tweaks she is flying well. 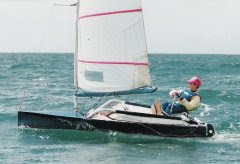 Katherine was really quick with her the other day in sub foiling conditions, even with the mini rig up. 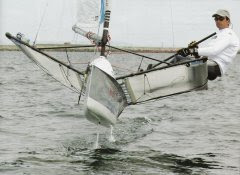 With both Katherine and Olivier out trying gybes, and the last few visitors to Portland doing the same I really should update the foiling guide notes I'd started to write, as there are a few key points to figure out in the gybes that make a big difference. 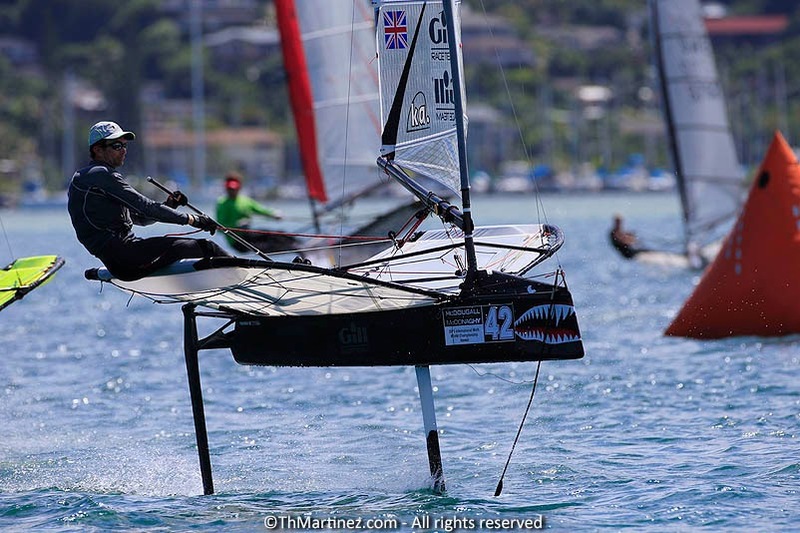 I'm now out in Hyeres with the 2.4's, so unable to make the Haylng open. I hope they get luckier with the weather this weekend. I think we had the best of it in Weymouth!